Hatters meet in small local groups for regular outings, as well as connecting together for larger events and conventions. Women over 50 years of age dress in the distinctive purple clothing and red hats and are known as “Red Hatters” Women under 50 are welcome too, dressing in lavender and pink and known as “Pink Hatters” (until they REDuate!). Hatters hold events ranging from picnics and coffee mornings, to elaborate themed dinners and even cruises! Loads of fun to be had by all, and many opportunities to make friends and socialise with other fun-loving women. 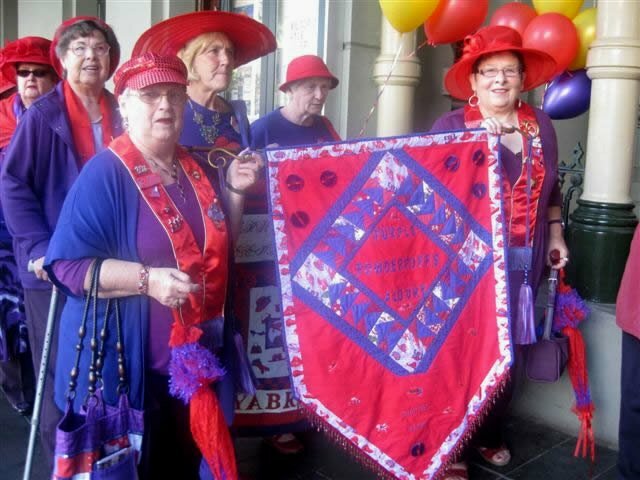 Red Hats Victoria is an unofficial private website (not endorsed by the RHS), where Victorian Hatters can share their experiences, find chapters, advertise events and connect with others.